Steven C. Strickland has played a leading role in the growth of the fitness industry for over thirty years. He has a distinctly unique perspective in the areas of club design, development, operations and equipment requirements. Steven began his career as a fitness trainer and club salesman in May 1976 while attending Clemson University. With his hard work and perseverance, he quickly became the company’s top producer and was promoted to the position of General Manager at the age of twenty. His great success allowed Steven to purchase his first health club, Nationwide Fitness Center, at the young age of twenty-four. Over the next few years, the success of Nationwide and the vision of its owner gained the attention of the industry leader, Health & Tennis Corporation of America. Steven’s commitment to excellence in the field led to a very successful decade-long partnership with HTCA as he and his team developed the Richard Simmons Anatomy Asylum club concept in both the Chicago and Atlanta market areas and later in large club operations in Dallas. His accomplishments with HTCA led to Steven joining the leading fitness equipment manufacturer, Nautilus International in 1991. In his position as Southeastern Regional Sales Manager, Steven was the company’s top producer for five consecutive years. During his time with Nautilus, Steven perfected his unique skills in the areas of club concept, design and equipment placement for any given environment. 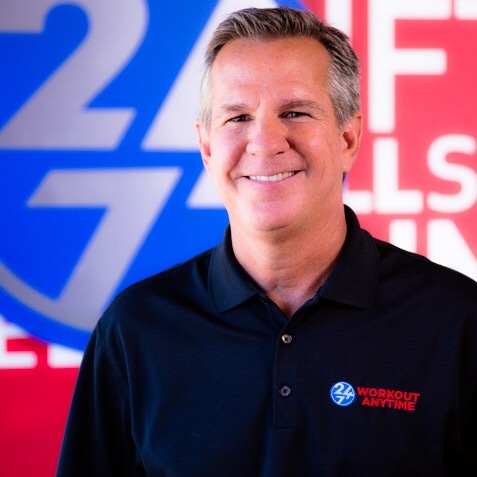 In 1995, Steven founded Commercial Fitness Products, Inc., an Atlanta-based distributor of a broad range of commercial fitness equipment and flooring. Steven’s years of experience in club design, layout, and seamless operations has played a key role in the eventual development of WORKOUT ANYTIME’s unique concept and design. Steven co-founded WORKOUT ANYTIME, Inc. in 1999 with fellow fitness veteran, John Quattrocchi. After five years of success and development of the model, they began franchising the concept through Workout Anytime Franchising Systems, LLC. Today, Steven’s vision of smaller "boutique" fitness facilities focused on customer convenience and value has become the leading trend of the industry. Steven was awarded the fitness industry's prestigious Distinguished Service Award by the National Fitness Trade Journal in recognition of his contributions to the industry. John Quattrocchi’s career as a high achiever began in the Air Force, where he achieved the highest rank possible during his 1966 to 1971 stint. His career in the fitness industry began with the European Health Spa chain (1971 through 1975) where he was a top producer. Later, he managed numerous franchised health clubs throughout the Southeast from 1979 to 1988 where he was vice president. John has since trained many individuals who now own and operate successful fitness centers throughout the United States. In 1999 he co-founded WORKOUT ANYTIME, Inc. which opened its first facility in the Atlanta market, and in 2004 co-founded WORKOUT ANYTIME Franchising Systems, LLC. These clubs represent John's vision of the "low overhead, low headache health club" combined with his "keep it simple" philosophy. For more than forty years, Mr. Quattrocchi has been an icon in the health and fitness industry, focusing on service, sales, sales training, marketing, advertising and promotion. Most importantly, John takes great pride in teaching people how to be profitable in the health club and fitness business. Mr. de Gorter has been Chief Operating Officer since July 1, 2015. From November, 2012 to July, 2015, he was Executive Vice President, Strategy & Development of Performance Health Systems, LLC in Lake Forest, California, a manufacturer of commercial fitness equipment for the health and fitness, medical and sports industries. From June, 2009 to November, 2012, he was the President of Power Plate Americas, in Irvine, California, a provider of commercial fitness equipment and programming to the health and fitness, sports and medical/rehab industries. From September, 2006 to July, 2008 Mr. de Gorter was the Chief Operating Officer of Velocity Sports Performance Franchise Systems, LLC, in Irvine, California, a franchisor of performance training centers. From Mr. de Gorter has over 35 years experience in the health and fitness industry. Randy Trotter has been VP of Development since the inception of WORKOUT ANYTIME. He is a seasoned professional with extensive experience in franchise development, sales, and marketing in both the restaurant and retail markets. Mr. Trotter is also actively involved in commercial real estate as a consultant to developers and as a broker for Horizon Properties Corporation. Mr. Trotter has successfully launched a franchise program for a major pet supply chain. As CEO of Horizon's Franchising division, Mr. Trotter has been responsible for more than two hundred unit sales. Ms. Johnson has been our Vice President of Operations since February 2015. From October 2013 through December 2014, she provided consultant services to Workout Anytime Franchising Systems, LLC. She has 7 years of prior experience in office management in the Fitness Industry and 12 years of executive sales management in the trade show industry. From 2003 through joining our company in January 2014, she provided business and financial management services to a client base around the Metro Atlanta area. John Carsillo, a 1984 graduate of Auburn University, began his fitness career in college, John helped the man known as "The strongest man who ever lived”, Bill Kazmeier; open his gym, Kaz Fitness Center in Auburn, Alabama. A year after graduation, in 1985, John relocated to Atlanta to begin working for American Fitness Center (later purchased by Bally Total Fitness) where he worked in management until 1992. John then accepted a position with Australian Body Works where he served a central role in the growth of the company in the Atlanta market. Over the next eight years, with John as Area Supervisor, the Australian Body Works chain grew to twenty locations throughout Atlanta. 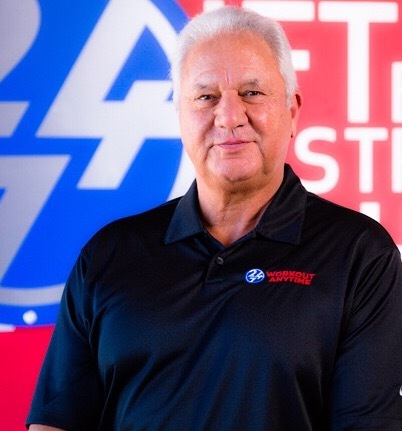 When Australian Body works was purchased by LA Fitness in 2000, John stayed on in the position of Vice President of Sales where he assisted in the company’s transition into the Atlanta market and in opening new Sports Clubs. John remained with the company for the next four years and in 2004, was recruited by Atlanta based, Workout Anytime, Inc. for the position of Area Supervisor. The following year, John was asked to head up the flooring and equipment sales division for Commercial Fitness Products, Inc. where he has remained an integral part of the success of CFP for next decade. John’s years of experience and his great sense of esthetics give him an excellent understanding of the importance of a well-planned health club facility. 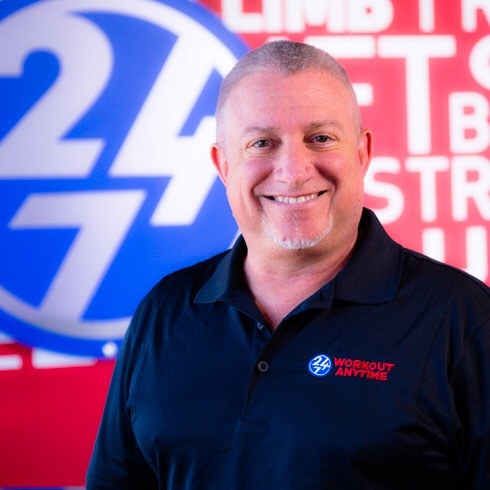 From flooring to the last piece of strategically placed equipment, John is uniquely qualified to meet the needs of our Franchise Partners as they build their WORKOUT ANYTIME clubs. John’s positive energy and ever present service-oriented style only add to the list of attributes that turn the potentially stressful building process into a productive, seamless and successful experience for our Franchise Partners. 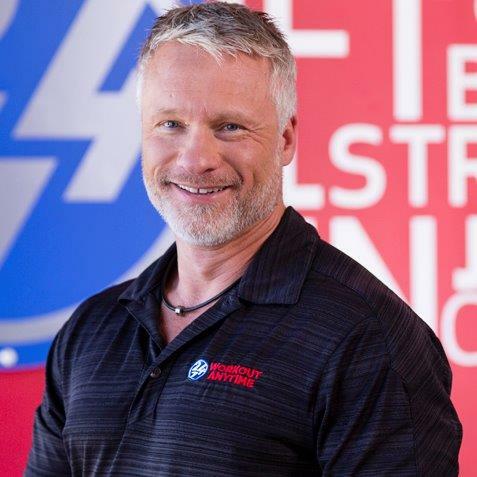 Dennis has more than twenty years of accomplishment laden experience is the fitness industry; driving achievements of the highest sales growth, brand development and sales efficiency goals. Dennis earned his Bachelor’s of Arts and Science from Kansas State University. 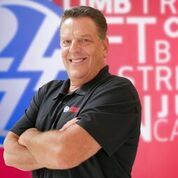 Beginning his career in the fitness industry, Dennis developed an keen interest in sales and leadership at the health club level and pioneered sales, account management, and customer relationship management techniques to become a accomplished club operator. Quickly distinguishing himself as a leader, in less than two years, he earned fast-track promotion into management. 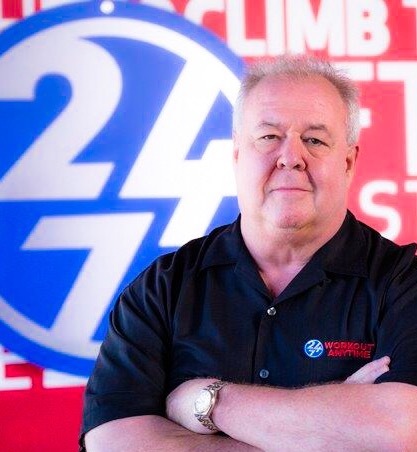 Throughout his career, Dennis has had the opportunity to establish a strong network of contacts with health club owners, franchises, and vendors. Among those are including Gold's Gym, World Gym, Powerhouse, Workout Anytime, Fitness 19, IHRSA, FISA, California Clubs of Distention, and SIBEC. The scope of Dennis's experience has spanned virtually all aspects of the fitness industry including membership sales, club management, marketing, sales and logistics. Dennis has mastered the art and skill of team building, leadership and operations administration. Mr. Maurer has been the Vice President of Fitness for Workout Anytime since March 2015. Prior to that, he was Director of Education for reACT Fitness, a provider of commercial fitness equipment for the health, sports and rehabilitation markets. 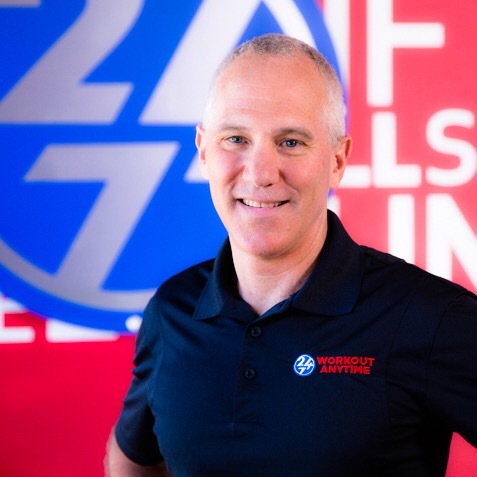 Mr. Maurer’s career spans 27 years in the fitness industry, creating education infrastructure for successful integration of programs for both clubs and fitness equipment providers. Sarah joined the Workout Anytime team as the Social Media Manager in August 2015 after serving as the Social Media Strategist for the brand’s Corporate locations since 2013. Sarah has been in the fitness industry for many years, starting as a membership counselor in 1979. Over the next decade, she served in many roles including; Club Manager, Area Supervisor, and eventually Vice President of Operations for the Bally subsidiary, Richard Simmons Anatomy Asylum. In the late 80's, Sarah took time off to finish her education and raise her three sons. When she came back to our industry several years ago, she opted to direct her energy toward the social media side of the fitness business. Sarah is uniquely qualified for the task of teaching others how to use social media in a dynamic and service directed way to grow their membership base and manage their local community presence. 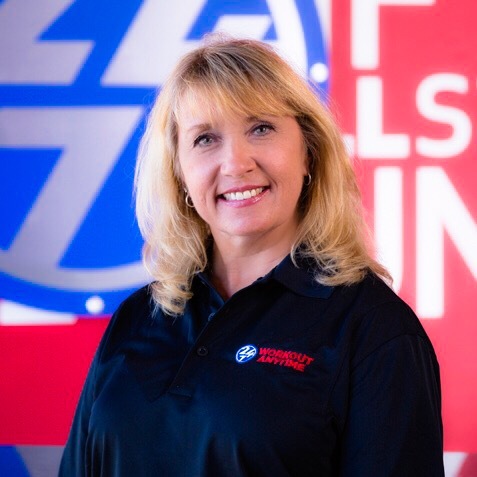 Sarah is dedicated to the education and support of our Franchise Partners as they build an awesome member base as well as lasting business-to-business relationships within the communities they serve through the use of a social media. Sarah holds a M.A. in Education, an A.A. in Digital Graphic Design and is a Certified Social Media Master Strategist. Sarah is fully committed to the continued growth of the Workout Anytime brand across all social platforms. Tara has been in the Health and Fitness industry for over 20 years. Wellness is not only her passion, it is her lifestyle and business. Tara competed in and won the Eastern Seaboard NPC Fitness and Figure Competition. Of the 5 trophies she won that night, she is most proud of the “Ms. Sportsmanship” award. 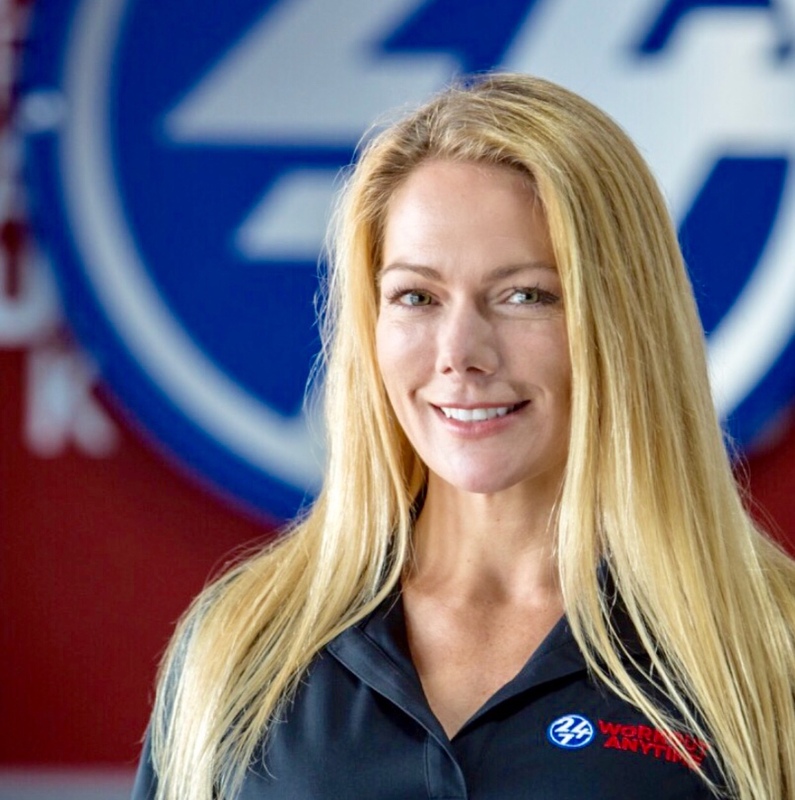 In the last 3 years Tara graduated from Body Design University and received her Personal Training Certification, won a powerlifting competition, earned a 200 hour Yoga Certification, placed in several Obstacle Course Race competitions and was chosen to be on the promotions team for Spartan Race. In her spare time she meal preps with friends. She loves the challenge of creating a healthy dish for them based on their favorite cheat meal. Tara loves to be challenged and enjoys a variety of workout styles. You might find her sweating it out in an MX4 class, hitting the free-weights, going hard on an Obstacle Course Race or putting it all back together with a yoga session. Kevin has been a part of the growth and development of the Workout Anytime Brand since 2008. Over the last 10 years he has either opened or Supported the opening of over 43 Workout Anytime Locations. Before joining the WOA Team, Kevin held the position of Solution Sales Manager for a Fortune 100 Company where he achieved multiple sales excellence awards including the prestigious Presidents Club Award for highest Sales Quota obtained. Kevin was a College Student Athlete at the University of Wisconsin Whitewater where he pursued a Business/ Coaching degree and was elected Team Captain of their NCAA Football Program. His passion remains to use his experiences to help and support other Franchise owners on their road to success. Tonya Tole joined the Workout Anytime team in January 2017 as Franchise Operations Coordinator. She attended Georgia State University to pursue a degree in marketing and decided to wait on her career to raise her three children. Her love for fitness drove her to pursue a career in personal training where she worked at Lifetime Fitness in 2010- 2012. 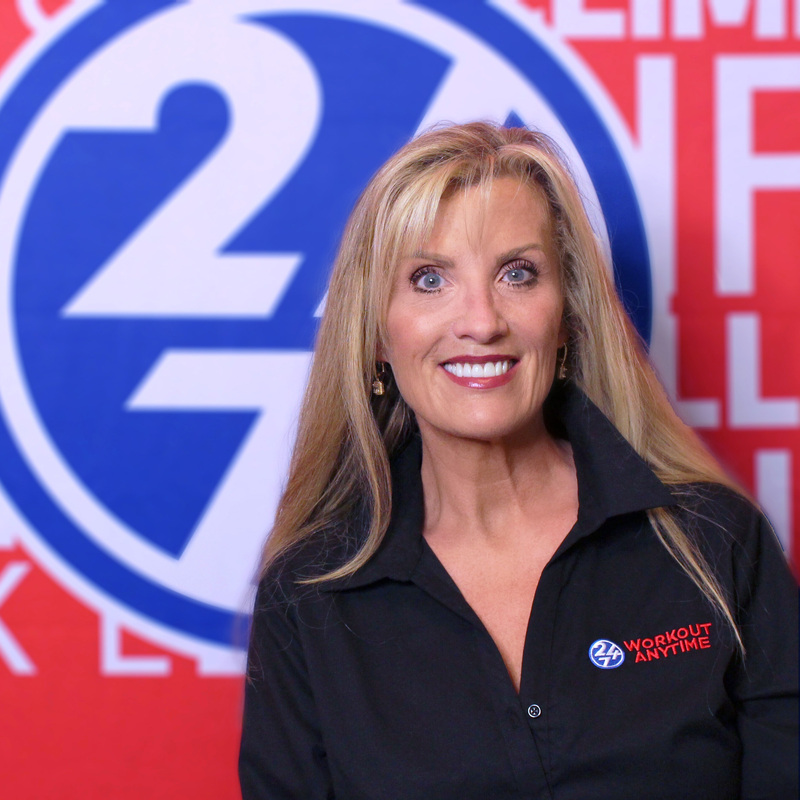 During her tenure at Lifetime, Tonya was able to build deep customer relationships while producing record sales. In 2012, Tonya decided to leave Lifetime and follow her desire to work for herself as a personal trainer and fitness consultant. In 2014, she made the jump into the corporate world to work as an Administrative Assistant for Financial Consulting. 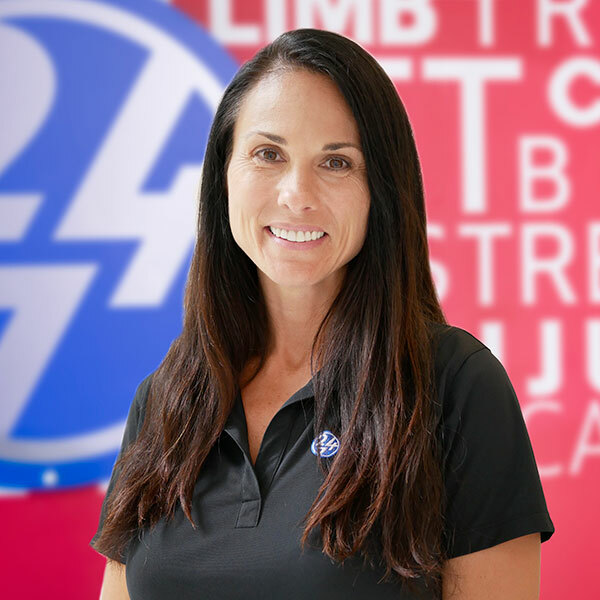 Her profound passion for the fitness industry lead her to Workout Anytime Franchising System and we are very lucky to have her on our team. Michelle joined the Workout Anytime team in January 2018 as the Administrative Coordinator. It didn’t take her long to make it feel as if she’s been part of the team for several years instead of just several days. Through keen ambition and dedication to her work, she gained a wealth of experience in leadership, sales, and customer service in the construction, fitness, and retail industries. Michelle attended and earned a BA in Spanish with a concentration in International Business from Georgia State University while running the Rock Climbing Club at Georgia State, leading the competitive portion of the team to the 2015 and 2016 Collegiate Climbing Series Nationals in Melbourne, FL and San Diego, CA. Her passion for fitness and health and wellness makes her feel right at home here at Corporate Headquarters. Even though her adventure here is just beginning, she is determined to not only be the best. but be hard to beat at every challenge that is thrown her way and continue to climb the ladder of success.